What do you do when your company shows up a few days earlier than expected? Start off with a great lunch at the BST - Boiling Springs Tavern, for those of you not familiar with this great restaurant in Boiling Springs. Before leaving Boiling Springs, make a quick stop at the Village Artisans Gallery to either wonder in awe or purchase some beautifully crafted paintings, glass works, jewelry, and more. Next stop, a 15 minute drive to Potato Road to Meadowbrooke Gourds to find everything you ever imagined made from a gourd. 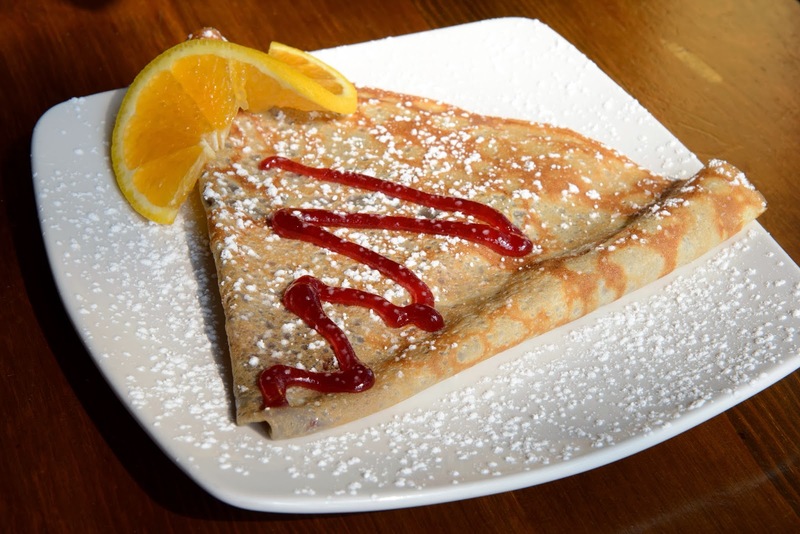 Finish off the day with a coffee and a Strawberry Nutella Crepe at Helena&apos;s Chocolate Cafe and Creperie back in Carlisle. All done in an afternoon before the arrival of a foot of snow! Makes the early arrival of guests not quite so bad and on top of it all you get in a great lunch, some good shopping, beautiful scenery, and dessert!